US streaming service Netflix has secured comic actor Adam Sandler, one of cinema's biggest box-office draws, as part of its bid to transform the movie business in the same way it has changed television. Sandler has signed a four-film deal with the firm, starring in and producing each feature, all of which will premiere exclusively on Netflix. The Wedding Singer star said: "When these fine people came to me with an offer to make four movies for them, I immediately said yes for one reason and one reason only: Netflix rhymes with wet chicks. Netflix declined to say how much it was paying Sandler, but the streaming giant has a history of reaching deep into its pocket to lure big-name talent. To land House of Cards with director David Fincher and star Kevin Spacey, Netflix reportedly spent 100 million dollars (£61 million) for the show's first two seasons. On Tuesday, Netflix signaled its long-planned entry into original movies, announcing that it will stream a sequel to 2000's Oscar-winning Crouching Tiger, Hidden Dragon - one of the most lucrative foreign language releases ever. The sequel, produced by the Weinstein Company, will open in August 2015 simultaneously in Imax theatres and on Netflix. 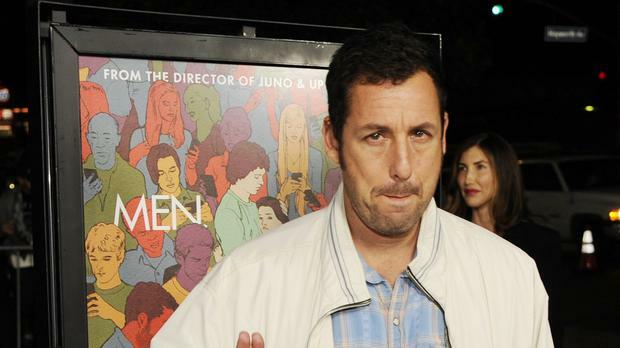 Sandler is one of Hollywood's most reliable draws, with films that have collectively grossed more than 2.4 billion dollars (£1.4 billion) domestically. But his track record has recently been rocky. His last film, the romantic comedy Blended, with Drew Barrymore, took in a more modest 46.3 million dollar (£28 million) haul for Warner Bros.
Ted Sarandos, chief content officer for Netflix, said Sandler's films are regularly among the most-viewed by Netflix members. "People love Adam's films on Netflix and often watch them again and again," Mr Sarandos said. "His appeal spans across viewers of all ages. Everybody has a favorite movie, everyone has a favorite line, not just in the US but all over the world." Sandler's international appeal fits Netflix's global aspirations. The company has been rapidly expanding overseas, most recently in Europe, and is now available in nearly 50 countries. The four features, which are currently planned without any theatrical release component, are expected to be comedies. Those are the kind of movies Sandler-starring that rate highly on Netflix. Among Netflix's Sandler titles available for streaming are Happy Gilmore and Click. The first movie in the deal, to be jointly developed between Netflix and Sandler's Happy Madison Productions, could come as early as late 2015. Netflix's plans with Crouching Tiger, Hidden Dragon: The Green Legend have already upset the movie industry's traditional patterns. The nation's three largest exhibitors - AMC, Regal and Cinemark - quickly refused to carry it on their screens. "We will not participate in an experiment where you can see the same product on screens varying from three storeys tall to 3in wide on a smartphone," Regal spokesman Russ Nunley said. But many analysts see the disruption caused by Netflix's entry into original movies, in an era of ever-proliferating screens, as an overdue challenge to Hollywood's carefully controlled theatrical model. "This is just the start of what Netflix is going to do," said Rich Greenfield, media analyst for BTIG Research. "Stay tuned. This is the beginning."